This no-fuss, throw-all-ingredients-in-the-pot, large-batch soup recipe freezes well. 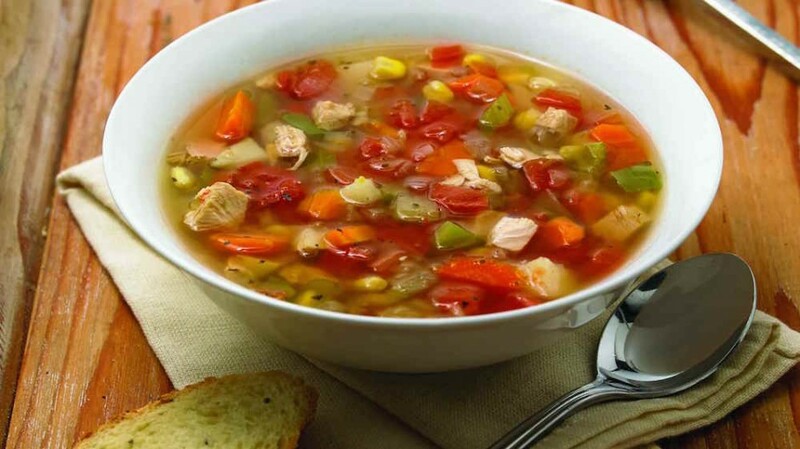 That makes it possible to enjoy some now and store the rest for another time when you feel like having a bowl of this nutritious soup. I like garlic and have added three large cloves to this recipe. However, feel free to adjust the amount according to your preference. Place all the ingredients except the parmesan cheese in a large stockpot and bring to a boil over medium-high heat. Reduce the heat to low and simmer gently for 20 minutes, or until the vegetables are tender. Season with salt and pepper. If desired, serve bowls of the soup sprinkled with parmesan cheese to taste.